Brookes Bell has worked with many shipyards across the globe. We can work independently, in partnership with the yard or in an intermediary capacity. Brookes Bell are industry leaders in providing safe, innovative and practical vessel design solutions to shipyards in the pre-build and build stage. We are proud of our record of providing ground-breaking services allowing yards to realise the visionary ambitions of designers and owners. We also work with you to ensure the design is feasible in operation, complies with regulations and represents engineering best practices. We assist shipyards by providing alternative design solutions, ensuring they comply with SOLAS regulations whilst also maintaining the creativity of the Designer, meeting the needs of the Owner and requirements of the Captain. Our involvement in the process allows the shipyard retain the creativity, innovation and flexibility in Superyacht design whilst also achieving the highest levels of safety. Our material scientists and metallurgists understand the fundamental behaviour of a multitude of materials used in Superyacht construction. They can determine how a component or structure will react in a given environment, temperature or under a variety mechanical loads. Well-versed in failure investigation, including securing and documenting samples and conducting examination to determine the cause of a failure, our qualified material scientists apply their years of experience to improve Superyacht design. We can advise on the suitability of materials and best practice, avoiding potential issues in the future. See our Glossary for more details about Metallurgy, Tribology and NDT practices. Our Naval Architects have extensive experience in stability assessments on many different vessel types and sizes. Using our in-house flooding and seakeeping software, we can perform damage survivability assessments and forensically reconstruct vessel flooding incidents to mitigate flooding risks at sea. Brookes Bell can act as an impartial intermediary between the Superyacht shipyard and the Owner's representatives, or work alongside the Designer. We can review and enhance designs and specifications, advise on individual areas from hull specifications and metallurgy, to on-deck comfort to propulsion and safety. We can act on behalf of the Client at whatever level is required, from reviewing specialist areas to liaising throughout the whole new build process. 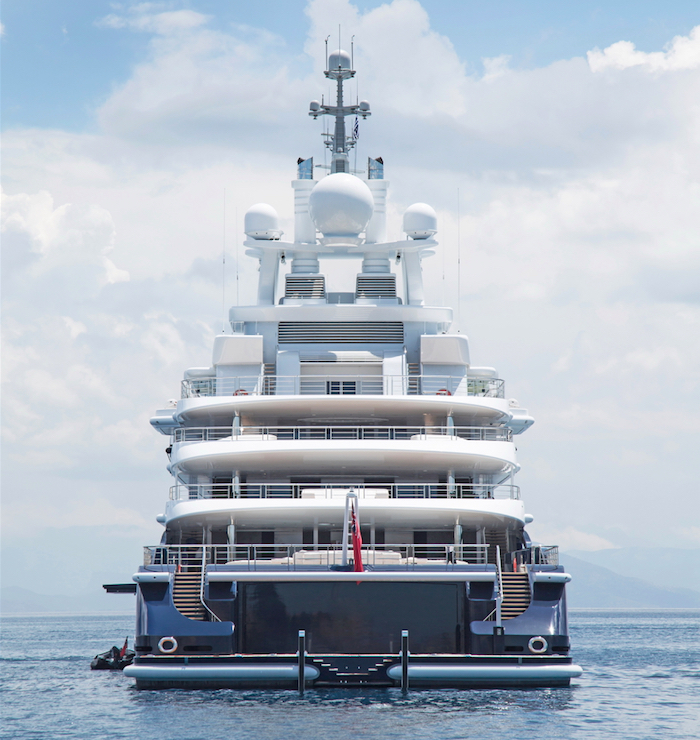 This in-house expertise has also proved invaluable for a Superyacht throughout a refit. Each Superyacht comes with its own story and we understand that not all parts of the story need to be told. We will always handle enquiries, claims and project details with the utmost discretion.